Stay stylish and sport-ready by swapping out your forerunner watch band for a new color on compatible models with the forerunner 735XT accessory band from Garmin. 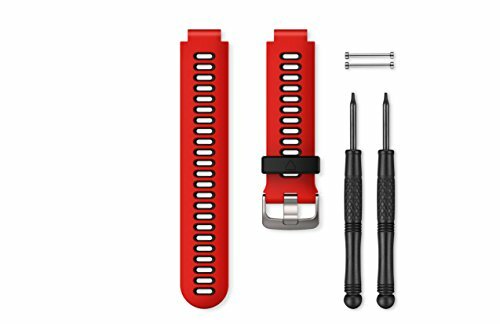 Simply remove your current watch band and screw on the new band for a comfortable and enhanced fit. Band, pins and pin removal tools are included. This 010-11251-0N comes in lava red.